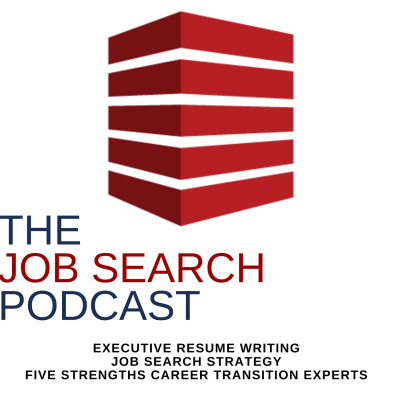 The Job Search Podcast Expert Resume Writing, Job Search Strategy, and Career Advice for Executive Job Seekers and More with Your Host, Amy L. Adler Amy L. Adler, MBA and Certified Master Resume Writer, challenges what you think you know about executive job search. Thinking about making a career move? Listen to The Job Search Podcast first. Learn How to Do Job Search Right Each episode focuses on a specific job search topic, such as: How to write a resume for a new job search How to write a powerful cover letter How to write your LinkedIn profile – and how to network using LinkedIn’s massive, global address book How to network, so that your job search is effective–much more effective than applying online alone How to interview effectively, so your future hiring executive believes in your expertise and your fit How to get a job in a new industry or area of expertise How to change careers – and how to think about what it takes to make the leap About Your Host, Amy L. Adler My unique approach to marketing executive clients delivers the right message to hiring executives in their industry-specific language and proves beyond a doubt that the candidate has the proper experience to serve the executive team. I capture executive job seekers’ career histories using their goals as the lens through which I focus their talents and expertise, ensuring the hiring team learns exactly what it needs to know, via the executive resume, LinkedIn profile, cover letter, and strategic career coaching, to call the candidate for the interview. Are you job hunting right now? Subscribe now–we are publishing twice per week, so you’ll always be learning something new!